​There is one thing we can be 100 percent sure of entering the new NBA season: The Cleveland Cavaliers will not be as good as they were with LeBron James. Duh, right? Well, it seems coach Tyronn Lue also knows that. 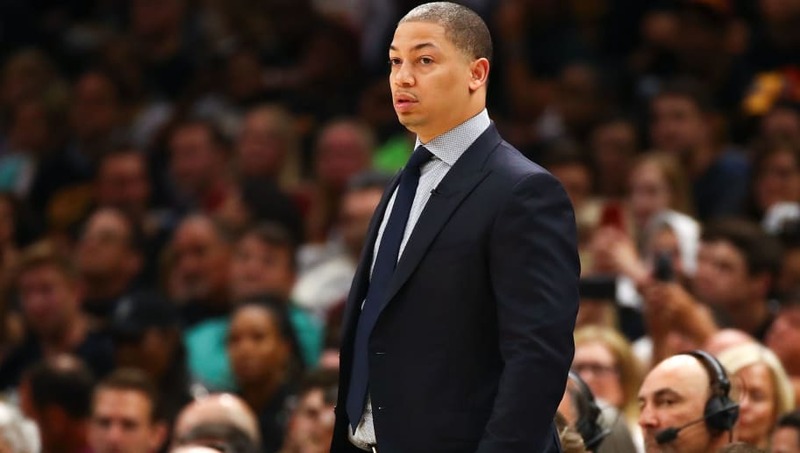 Ty Lue's battle cry: "It's not about wins and losses. It's wins and lessons." At media day, Lue was dropping lines straight from a cheesy sports movie. "It's wins and lessons." That does not scream confidence in your team. But, Lue has a solid point. ​The Cavs are in the process of rebuilding for the post-Lebron era. They drafted promising point guard Colin Sexton in the first round, re-signed Love to a four-year contract, and signed youngster David Nwaba. At the end of the day, that's all Cleveland really did this offseason. That's not a very promising sign for this team. While they have to rebuild, they didn't do much of it. Their only star, Kevin Love, also knows that the team is uncertain. "It's gonna be really fun to see where this team heads and to be able to build something." ​​The Cavs have been rumored to be in the running for ​Jimmy Butler, but they don't have much to offer. It could be a daunting few seasons before Cleveland can shed their contracts and really begin to restart. As Lue said, it's about the lessons for these young players.